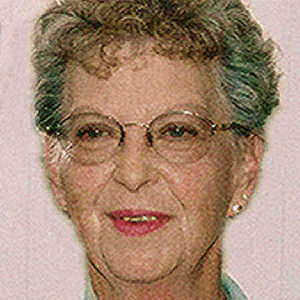 Delores J. Hickman, 78, Wahpeton, ND, formerly Mooreton, ND, and Columbus, ND, passed away Sunday, October 21, 2012 at St. Catherine's Living Center, Wahpeton, ND. Memorial Services will be Saturday, October 27, 2:00 PM at Willow Creek Chapel, Wahpeton, ND and Sunday, November 11, 2012, 2:00 PM at Faith Lutheran Church, Columbus, ND. Visitations will be one hour prior to the services. Interment will be held at Columbus, ND. Arrangements have been entrusted to Vertin-Munson Funeral Home, Wahpeton. Delores Jean Hickman was born May 27, 1934 at Powers Lake, ND, the daughter of Roy and Agnes (Hoff) Tveter. She grew up south of Columbus, ND, moving to Columbus where she graduated from Columbus High School. She was united in marriage to Jerome "Jim" Hickman on March 28, 1953 at First Lutheran Church, Columbus. The couple lived for the majority of their married life in the Columbus area where Delores worked for St. Luke's Hospital in Crosby, ND and was Trinity Lutheran Church's secretary in Columbus for several years as well as an AVON Representative. Delores was also active as an EMT with the Columbus Ambulance Service. The couple moved to Mooreton, ND, in 2004 to be near family. In May of 2010 she entered St. Catherine's Living Center, Wahpeton. Delores enjoyed reading, walking and music. She always welcomed friends and relatives to her home and had baked goods and coffee ready for their visits. Delores is survived by four sons and a daughter: Darryl (Laurie) Hickman, Minot, ND; Perry (Connie) Hickman, Chino Valley, AZ; Jeff (Cathy) Hickman, Clearwater, FL; Pam (David) Johnson, Minot, ND; Tom (Jan) Hickman, Mooreton, ND; 16 grandchildren; 11 great-grandchildren, one brother, Garry (Myrna) Tveter, rural Columbus, ND; brother-in-laws, Wallace "Jiggs" (Connie) Hickman; Delano (Lucia) Hickman; Lowell (Laurie) Hickman; a sister-in-law, Mary Hoffmeyer; an uncle, aunts, cousins, nieces and nephews. She was preceded in death by her parents, her husband, Jerome, two brothers-in-law, Garth (Irene) Hickman, and Perry Hickman, two sisters-in-law, Pauline (Bert) Fagerland and Donna Nordstog. I am so sorry for your loss. I am glad she is united with Jim again. I miss you and love you all. My deepest sympathy to each of you on the loss of your mom. I have such fond memories of her. Keeping you in my thoughts and prayers.